As much as 70% of the immune system’s optimum function can be driven by how well the colon functions. Colon cleansing clear toxins out of the body. This process can help naturally improve circulation in the bloodstream, which means better oxygen flow and increased energy levels. High levels of body toxins take a toll on your organs, including your skin. Many people report clearer, brighter, healthier-looking skin after colon cleansing treatments. As your body strains to fight off toxins, your body’s other natural energy functions slow down. This includes your metabolism. Getting rid of burdensome toxins means allows your body to refocus that energy on boosting your metabolism and helping you burn off excess weight. Regular colon cleansing will help restore the body’s natural alkaline levels and create a healthier balance. A study by the Harvard Medical School on the “Gut-Brain connection” found that an unhealthy intestine can send disruptive signals to the brain which can impair focus and hamper the ability to concentrate. Colon cleansing can help to clear up that fogginess and keep you a bit throughout the day. OHI promotes colon cleansing as one aspect of a healthy, well-balanced life. We invite you to book a retreat at OHI and experience the many benefits of being clean from the inside-out! 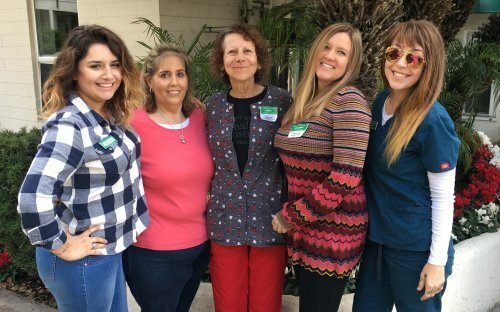 Experience the energy and clarity of eating and living clean, all in an environment of encouragement, support and spiritual fellowship at the Optimum Health Institute (OHI) healing missions in San Diego and Austin, Texas. During your visit, our caring team can help you achieve your mental, physical, emotional and spiritual goals for optimal health. Visit our website at www.optimumhealth.org , and call us at (800) 993-4325 to make your reservation.